"Change crrent small to default medium"
Display-Size is almost same between Medium & Large in my environment. Some people like smaller Notes Display than current small, I guess. Ok better yet… code Evernote to use the IOS font size setting. That way the font will be as you have the IOS device set. Solved. Oh, I thought it was rather large and would like something smaller. I set it to 10 on the local PC version that’s about as small as I can work with then it’s still too large on the IOS version. 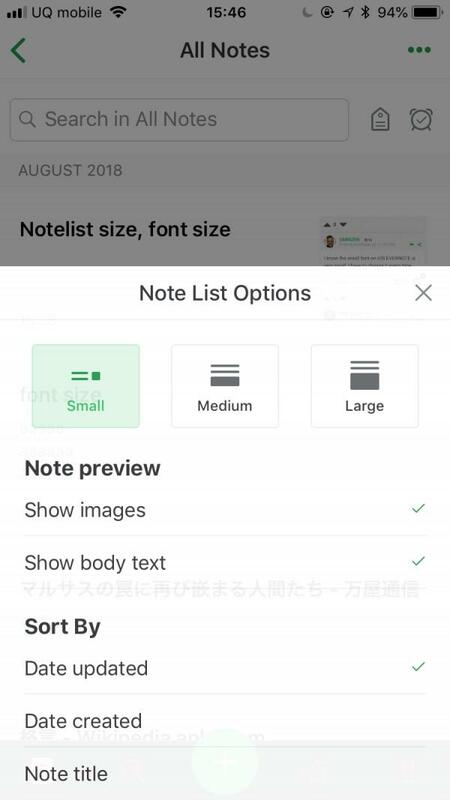 code Evernote to use the IOS font size setting. 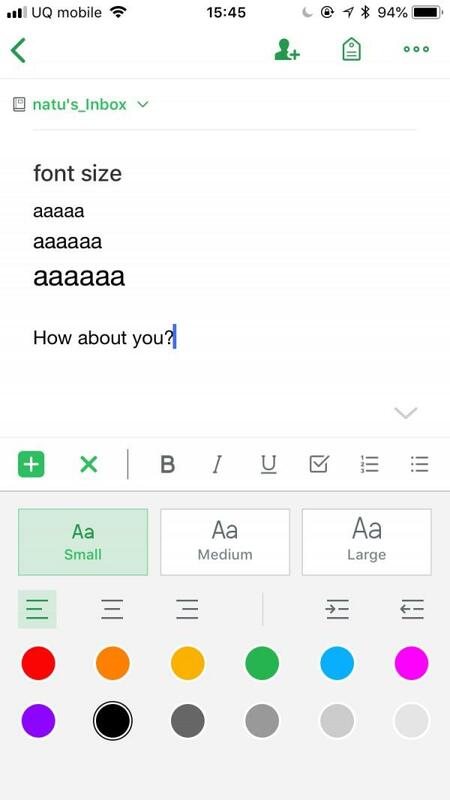 FONT SIZE, “Connect Evernote font size to iOS font size” sounds good. But I want to talk about NOTELIST SIZE too.